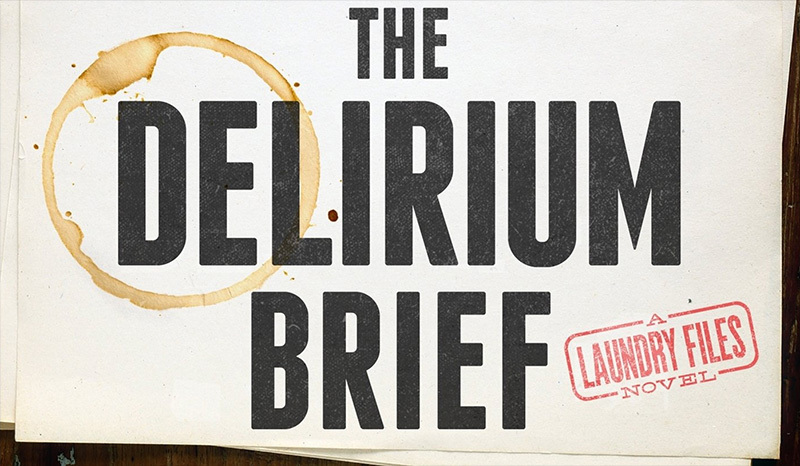 The Delirium Brief is the eight novel in the Laundry Files series by Charles Stross. I just finished reading it, and here’s my take on the book. The Laundry Files series can best be described as James Bond meets Lovecraft, with a dose of Office Space. The series follows Bob Howard (not his real name) and his antics as an agent for the secret government agency called the Laundry. ‘Followed’, I should say, part six and seven actually had different protagonists. The Laundry is the British intelligence agency that deals with the occult. In the universe of the Laundry Files, the Lovecraftian occult is quite real. Those that run the wrong mathematical algorithms in their heads, on paper, or in a computer run the risk of summoning otherwordly horrors. Bob was unfortunate enough to do just that. The Laundry caught him and did what they always do in that case: they drafted Bob into the agency, swearing him in for life using magic, and put him into the bureaucratic nightmare that is the Laundry. By this eight volume of the Laundry Files, the Laundry has promoted Bob to higher management, and he has some mystical baggage of his own. I won’t go into details to not spoil the seven previous books. Unfortunately for Bob and their colleagues, the agency has recently had a rather public mishap (read part seven, the Nightmare Stacks, for details). This leads the British Government to take a drastic measure. The Laundry is completely dissolved and occult defense of the UK is outsourced to a private company. The problem with this private company is that it is run by an old enemy of Bob. This man leads a cult who believe that an extraplanar horror — the Sleeper in the Pyramid — is in fact Jesus. This cult is trying to infect as many people as possible with occult mind-controlling parasites created by the Sleeper. As I wrote above, the Delirium Brief is the eight part of a series. That is a lot of books. If you compare books to television shows, imagine a show that’s still good in it’s eight season. Most shows never even make it that far, and neither do book series. However, the Laundry Files is still going strong. I would say that this installment is one of the high points in the series, actually. The story drips with tension and the enemy is very scary. As the series progresses, it’s tone is darkening quite a bit, and the Delirium Brief might be the bleakest one yet. But, let me stop here, lest I spoil the book. If you like spy thrillers with a dab of Lovecraft, this is definitely the book for you. Note that there is quite the leftist anti-establishment message in the book, which might have something to do with Stross being Scottish and not liking the British government’s course regarding Brexit… or much else. If you haven’t read the rest of the series, I do urge you to start somewhere in the first few books. This book builds so much on the events in previous books that you’ll probably have trouble following it if you didn’t read them all.